The Faith Promise church sits in a broadcast campus. The end users were having issues with their existing lighting system and trusted E2i Design with a major lighting upgrade to the existing facility. E2i Design always approach a lighting design for a space based on the desired needs for how the client will utilize the space as well as what their expectations are for a successful end result. 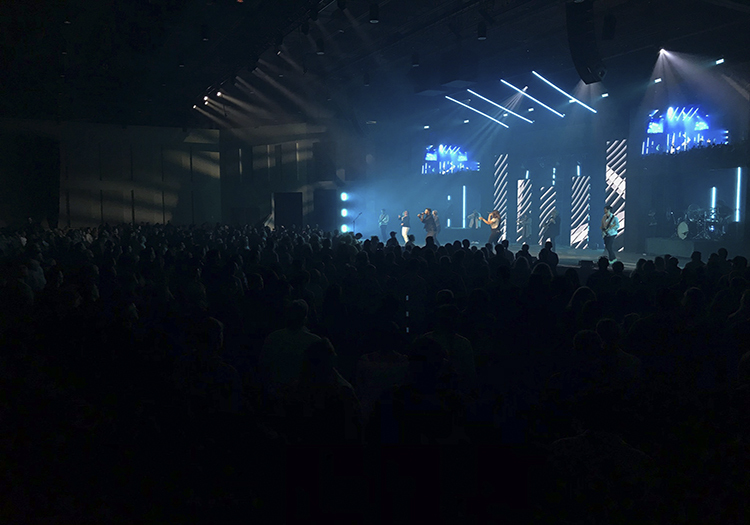 For this project, the church wanted to reduce the number of fixtures in the air and move to an entire LED lighting package for all of their key lighting. In order to achieve E2i Design selected the X4 Tunable White version from GLP. 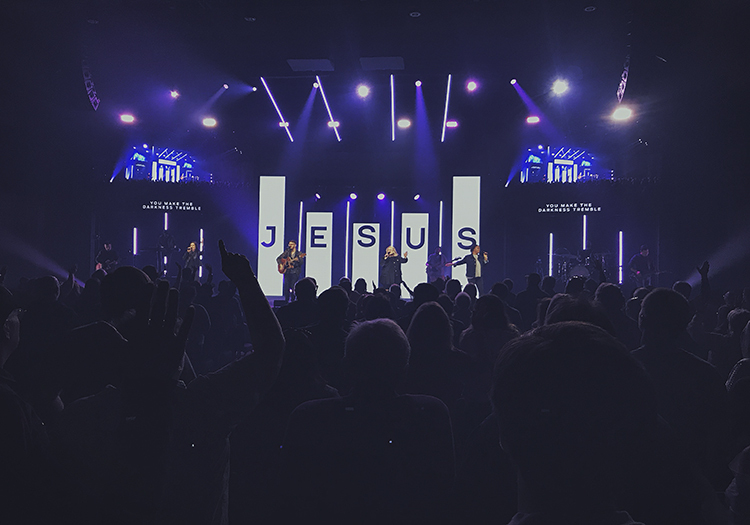 Dubbed the X4 VW (for variable white) by E2i Design, this fixture boasts the perfect design for this project: Its moving head capabilities allowed to use the same fixtures for the live worship experience as well as when their pastor is teaching. 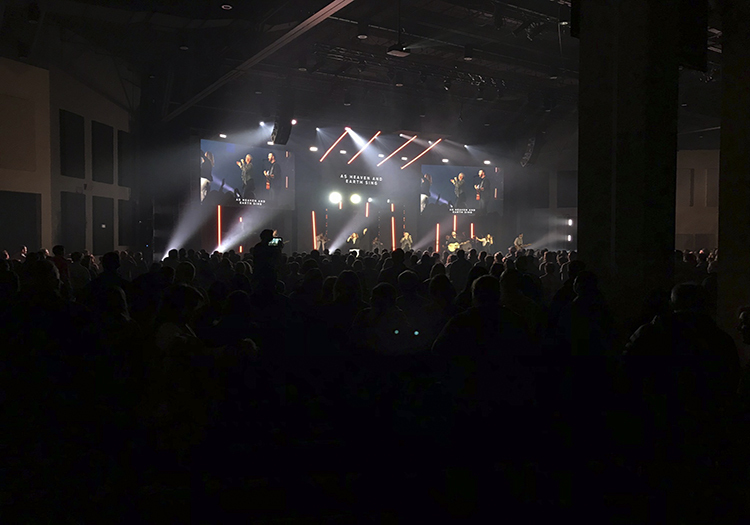 In the past, without a moving head fixture, a whole set of fixtures for the band and worship leaders would have been required, on top of a completely separate set of fixtures for the teaching. The X4 VW has allowed E2i to reduce budget, fixture count and maintenance significantly, and the moving features opened up many possibilities never before available to E2i in a design. The variable white also has a perfect blend of warm and cold LED diodes allowing to perfectly blend the exact colour needed since most projects utilising video today no longer want ultra-warm colour temperatures, but rather something cooler, typically within a 4,500-degree colour temp. The X4s VW allowed E2i to blend this colour perfectly. The X4s VW also features a wonderful full zoom range according to Josh Holowicki from E2i, giving the capability to create very tight “specials” as well as pull the zoom out and make an ultra-smooth and even wash when needed. In the past, they had 40 conventional incandescent fixtures providing the key lighting for their broadcast stage. Those fixtures required lamp changes and a ride up in a lift to re-focus on a regular basis. E2i reduced down to 16 of the X4s which eliminated lamp changes and the need to manually focus fixtures all at the same time. 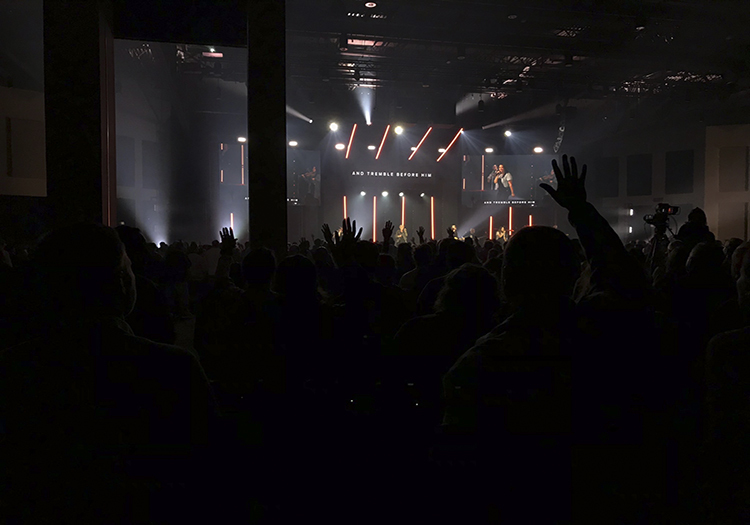 Further fixtures were used for foot (up) lighting for worship and teaching. E2i selected them for the similar variable white colour capabilities as the X4s, while providing a very soft and even fill on stage talent. This fixture is non-moving which for this application was of course not a requirement. The church is currently using an Avolites console to control lighting. 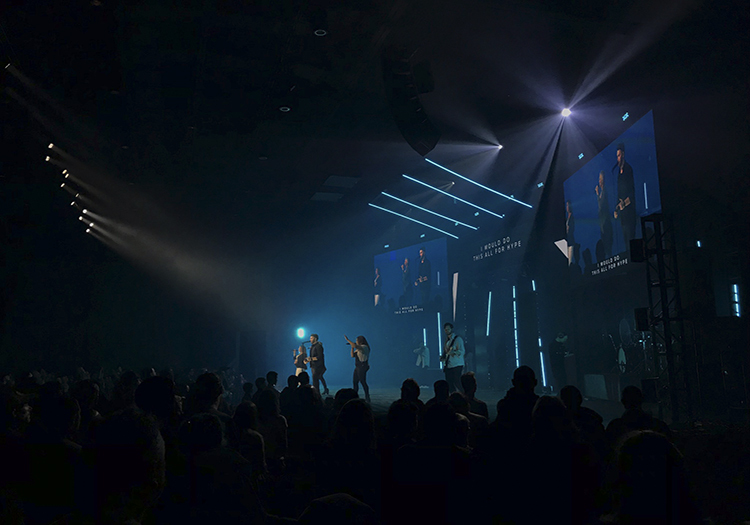 The lighting design for this space was unique because of the way the worship center is used. 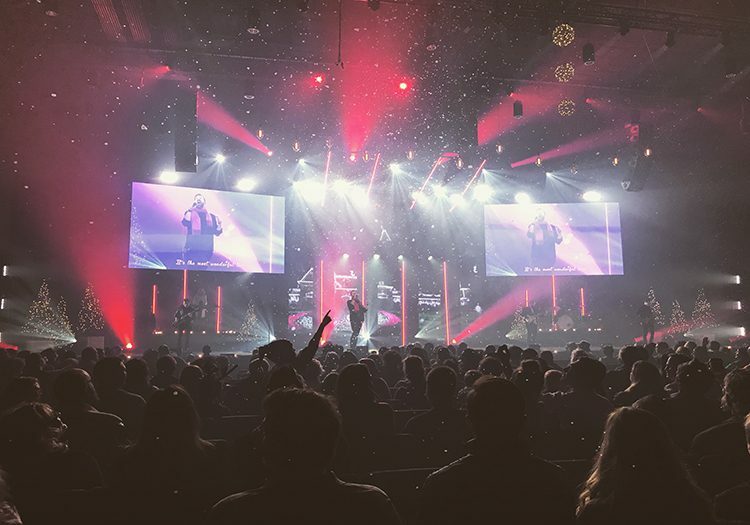 Not only is it utilised for live performance but also is used to capture worship services to broadcast via web as well as to other church campus locations. Because of this unique use, it required E2i to think outside the box in terms of addressing this challenge. The actual installation of the product went very well with no issues present, and E2i’s real challenge was really to come up with the best possible lighting solution that could solve the user challenges. By having access to the GLP impression X4s VW, E2i was able to solve all the problems the design presented and provide the client with the best possible solution. “We love Josh and the E2i Team. They took us into a new day with the GLP moving head fixtures for our key lighting. 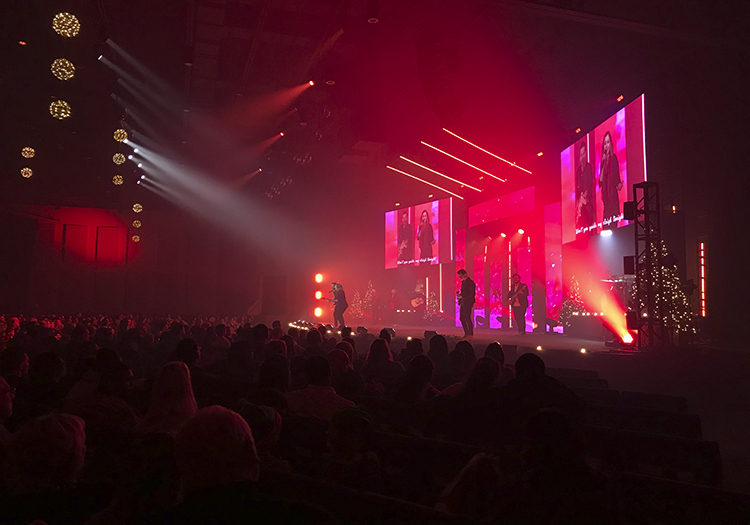 We love being able to adjust our focus and zoom “on the fly” and we couldn’t imagine doing what we do with anything else,” commented Dillan Howell, executive producer at the Faith Promise Church.